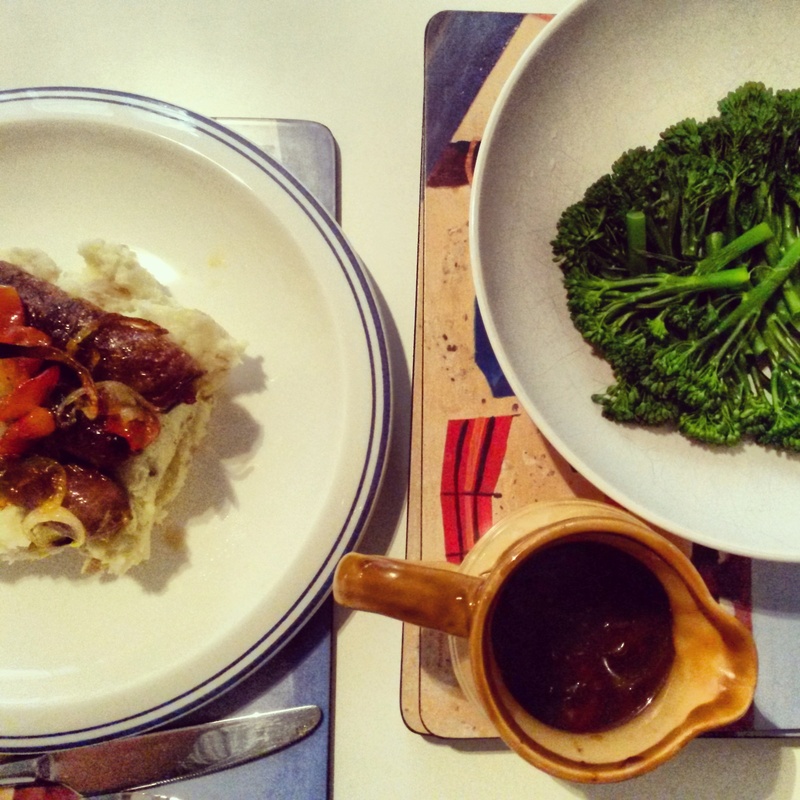 Here’s a really quick and easy dinner, perfect for colder, autumn nights – posh bangers and mash with steamed vegetables and the all important home-made gravy. 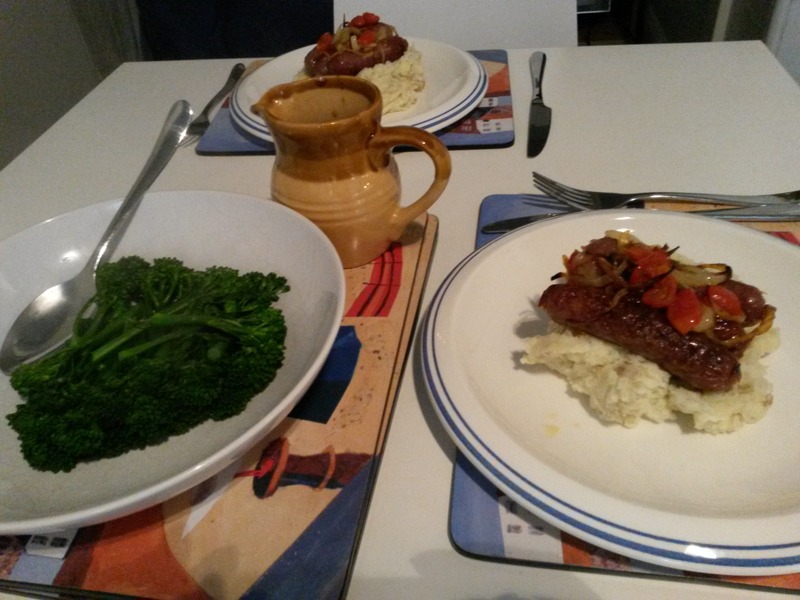 The reason they are posher than your usual bangers and mash is because I used venison sausages from Highland Game. You can pick these up in Tesco and more often than not they are on offer. 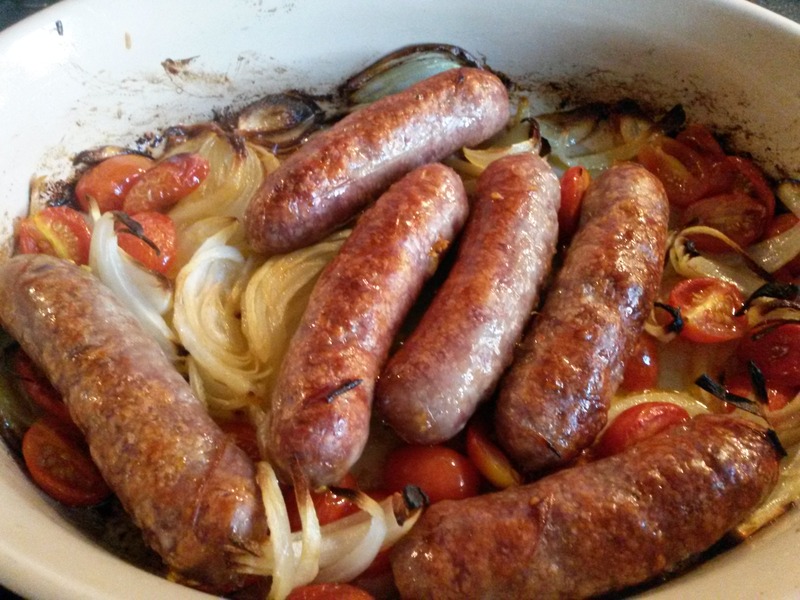 They are really delicious – much meatier tasting than pork sausages, and also great for casserole dishes. 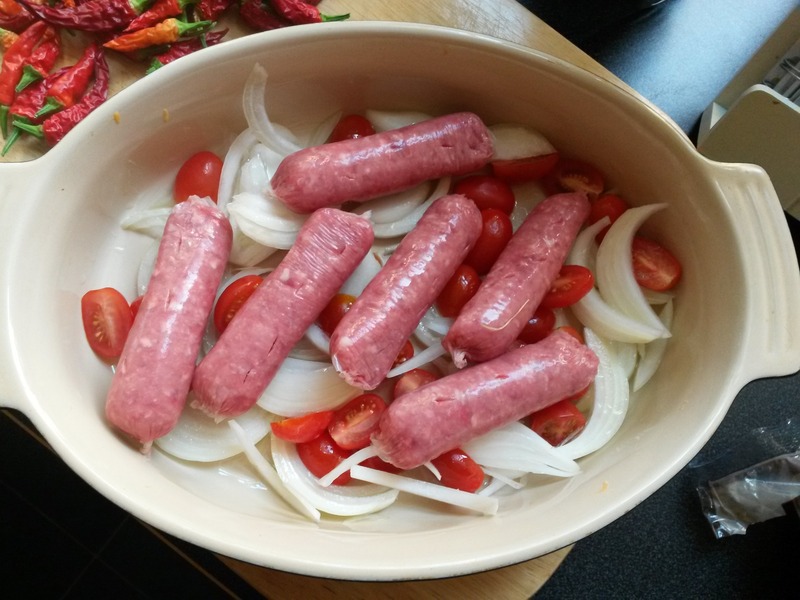 I choose to cook the sausages in the oven, mainly because I don’t like the mess from frying sausages, and grilling them is not a good choice for someone who is easily distracted when cooking! 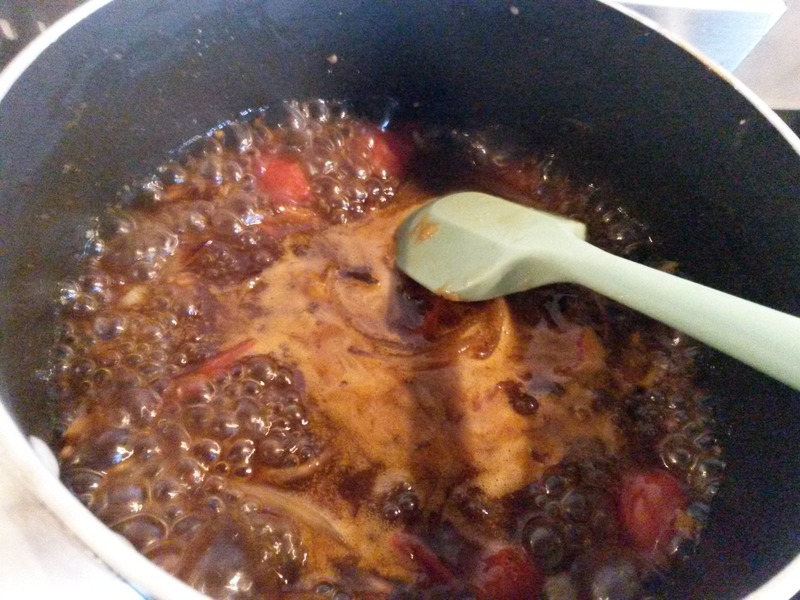 So, for two people, slice half an onion and some cherry tomatoes and put them in an oven proof dish – this will help make your gravy later on. Lay your venison sausages on top and drizzle some good quality olive oil over the top and season with some salt and pepper. Give the dish a shake to ensure the oil is covering everything and pop the dish in the oven for about 40 minutes at about 170 degrees. Make sure you turn the sausages half way through to give them an even colour. 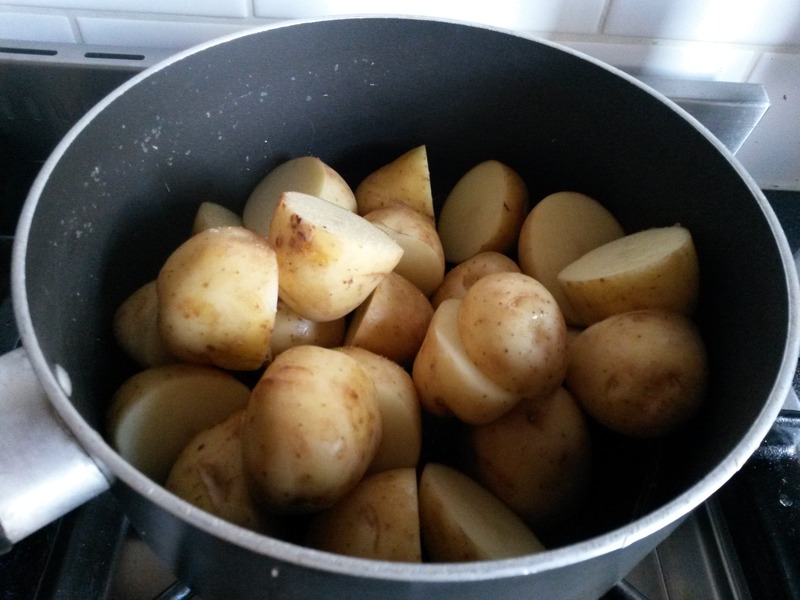 Whilst that’s in the oven, chop up your potatoes and boil for about 20-25 minutes depending on how small you’ve chopped them. 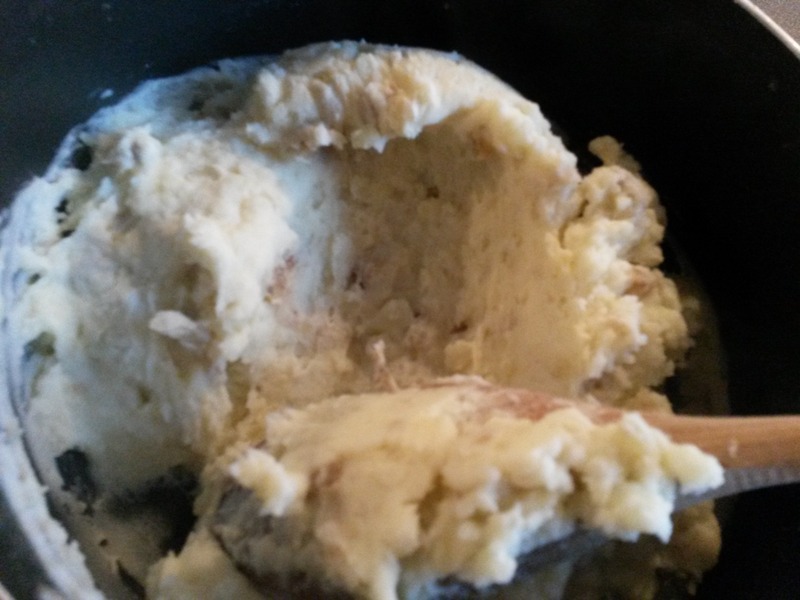 We leave the skins in on this house – they add flavour and are good for you, but if you’re after smooth mashed potatoes you’d been peel them. Once cooked through (you should be able to stab them with a fork easily, but you don’t want to cook them so much they crumble!) drain them and pop them back in the pot. Add a reasonable spoonful of butter (maybe two!) and start to mash. Once the potatoes and butter have melted together, swap your masher or a wooden, add a dash of milk or single cream, and stir together. Once you’ve got a consistency you are happy with, season with some salt and pepper. Back to the sausages and onto the gravy. About 10 minutes before they are done, scoop out about 3/4 of the onions, tomatoes and some juices and pop them into a pan on the hob. Heat gently to begin with and add about 200ml of stock (I used beef stock), a glug of wine (preferably red, but white works too) and a small teaspoon of cornflower – this will help the gravy thicken. Stir this all together until smooth and leave on a fairly high heat for about 5 minutes. Keep stirring to make sure the gravy doesn’t stick to the bottom of the pan. If you’re gravy is too thick simply add a little more stock. Once you’re happy with it, if you would like a smooth gravy all you need to do is sieve the onions and tomatoes away. A bit like the potatoes, I keep mine sort of rustic and just pour it all into the gravy jug. Finally, whilst your gravy is bubbling away pop some vegetables in the microwave to steam. 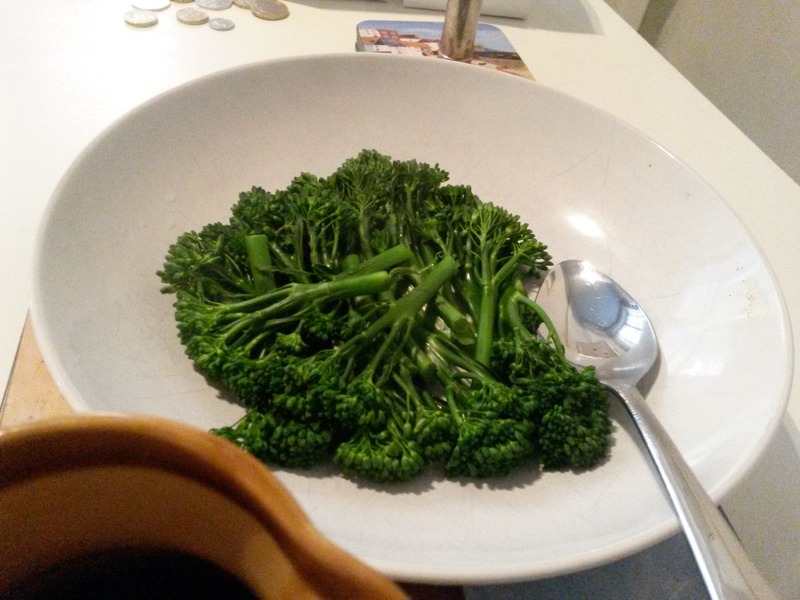 I chose broccoli stems and just added a centimetre or so of water to a shallow bowl with the broccoli and put them in the microwave on a high heat for about 5 minutes. And you are ready to plate up. 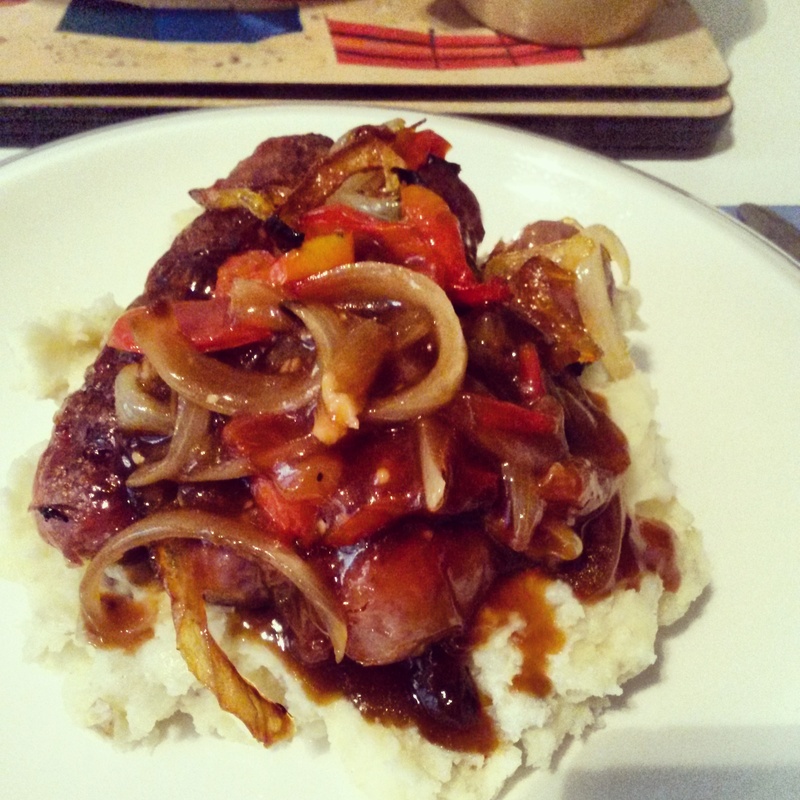 The mash should be lovely and creamy and buttery, the veggies nice and crunchy and the sausages should be evenly cooked through with a yummy, rich gravy to go over them.